In June of 2016, the national effort to end youth homelessness took a huge step forward with the official launch of A Way Home America. 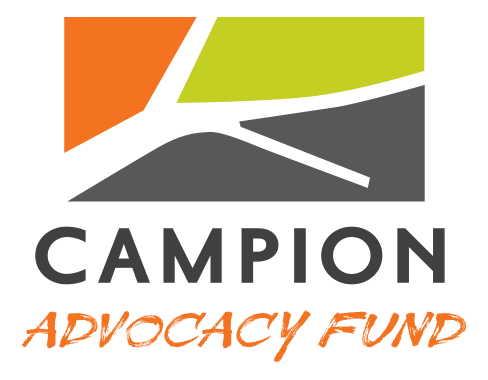 This initiative will build the movement to prevent and end homelessness among young people in America and the Campion Foundation is proud to be a partner. Ensure that homelessness among youth and young adults is rare, and if it occurs, is brief and one-time. Youth homelessness is a serious issue in America. On any given night, an estimated 36,907 youth experience homelessness without a parent or guardian. Often, these young people are fleeing abuse and neglect. Up to 40% of homeless youth are LGBTQ and young people of color are disproportionately represented. Over the next year, AWHA will elevate the issue of youth homelessness nationally, identify the policies needed, and provide a collective voice to advocate for changes critical to address this issue. We will learn from young people who have experienced homeless what is needed and we will challenge local communities to establish ambitious goals to house homeless youth. As a steering committee member for A Way Home America, I look forward to working with our partners from across the country to meet this goal of ending youth homelessness and learning about the exciting work going on in every state to ensure that young people have a safe place to sleep at night. I am also excited by the leadership team at AWHA. The executive director, Megan Gibbard, spearheaded King County’s youth homelessness response at All Home and is a nationally recognized leader in her work with homeless youth. I learned a great deal from Megan in her time at King County and am so excited that she can now share her knowledge with the rest of the country. The launch of A Way Home America coincides with another important milestone in the movement to end youth homelessness—the White House Policy Briefing on Homeless Youth, taking place today. President Obama and his Administration are true champions on this issue and I am excited to hear about what progress they are making on the President’s goal of ending youth homelessness by 2020 under the Opening Doors framework. President Obama is leading unprecedented coordination among the many federal agencies working with homeless youth to provide a comprehensive plan for youth that builds on the successes we’ve seen around the country to end veteran homelessness. All of this work comes at a critical time, when unprecedented attention to youth in need is coming at the federal, state, local, and even international level. We are drawing inspiration from A Way Home Canada, a successful initiative in Canada combining research, policy and community learning to achieve great results. Here in Washington state, we are also leading a movement to end youth homelessness and will launch A Way Home Washington this summer. Each of these efforts point to the urgency communities feel to take care of their young people and seizes on priorities we’re seeing in Congress and the Legislature to tackle this issue once and for all. I encourage you to join the effort by visiting awayhomeamerica.org and add your voice to the national movement to end youth homelessness.